Ms Lechowicz, who moved to the UK from Poland in 1997, and Mr Swaffer were professional pilots and lived together in Camberley, Surrey. She was selected by her country's London embassy as one of 18 exceptional Polish women who inspired the community in the UK for being a pilot. 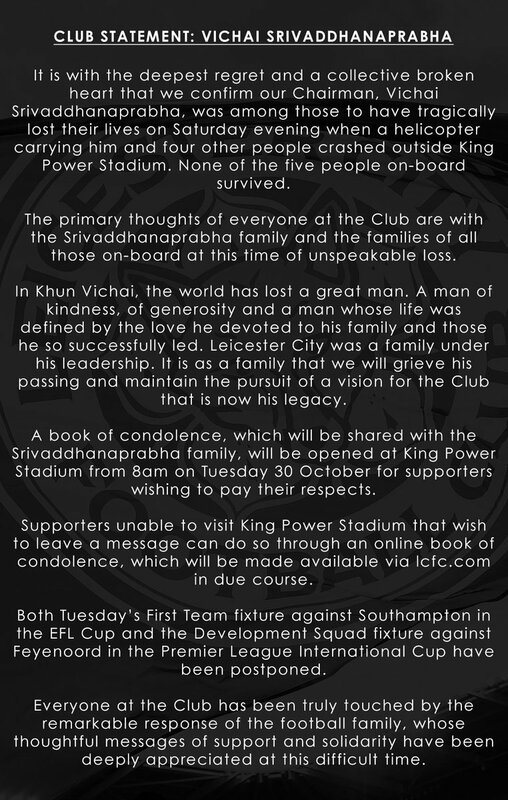 The club described Mr Srivaddhanaprabha as "a man of kindness, of generosity and a man whose life was defined by the love he devoted to his family and those he so successfully led". 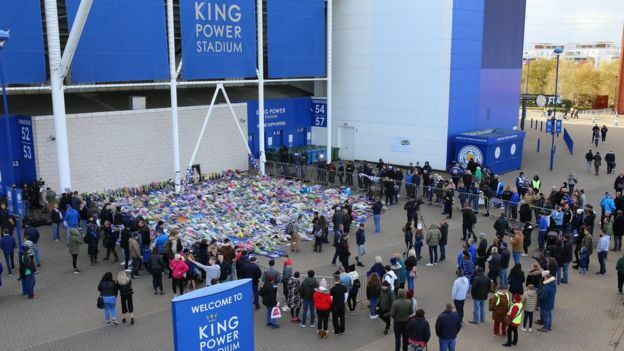 A book of condolence will be opened at King Power Stadium from Tuesday morning and the team's next fixture against Southampton in the EFL Cup, which was scheduled for Tuesday evening, has been postponed. The club added that it had been "truly touched" by the response of the football community, which included the arch above Wembley Stadium being lit in blue and white. Club captain Wes Morgan tweeted: "Absolutely heartbroken and devastated regarding the news of our chairman. "A man that was loved and adored by everyone here at lcfc." Leicester goalkeeper Kasper Schmeichel, who witnesses said ran out of the stadium towards the crash scene, said Mr Srivaddhanaprabha had "changed football forever".